You’ve just launched a website or feature. Your toe is already tapping. Wait, wait, wait — you can hardly wait one hour to see exactly how it’s performing. Sound familiar? If you’ve been there, we have exciting news for you. Google Analytics 360 can now provide updated insights as quickly as every 10 minutes. We’re proud to give our customers the fastest access to the freshest first party data Google Analytics has ever offered. When you see this icon, it means you’re looking at today’s data and the report is supported and super fresh. Hover over the icon to see how fresh the data is! This new level of freshness is only available to Analytics 360 users. To learn more about which reports, views, and properties support fresher data, and the factors affecting data freshness, check out our help center. Brands and sites in the business of capitalizing on momentary consumer attention are excited about fresher insights. Take the case of publishers and retailers as an example. Publishers strive to put the richest, most interesting content in front of users at any given point in time. The trick is understanding what’s rich and interesting right now — and that’s a constantly moving target. Publishers have long referenced our real-time Google Analytics reports to make decisions, but sometimes they’re looking for deeper insight than what is provided in those reports. 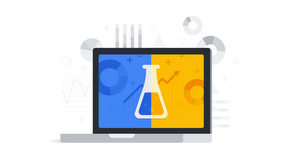 Fresher insights across additional Google Analytics reports help our publishers make even more informed content decisions, paving the way to better user acquisition, user engagement, and a stronger relationship between content consumer and publisher brand. Online retailers are in the same boat. When celebrities wear a product or mention a brand on social media, product interest may spike. Retailers may have just minutes to capitalize on purchase intent before it wanes. When a product’s popularity is on the rise, retailers can react by upping its prominence to capture interest, running focused promotions or recommending related products to expand consideration. With fresh insights available as soon as every 10 minutes, retailers move faster and turn trending interest into sales. As you know, Google Analytics has the ability to pull in data from other sources like AdWords and DoubleClick. We refer to these as “integration sources” and these sources operate with additional requirements, like fraud detection, that mean that the data in these reports are exempt from our enhanced freshness capabilities. For example, any report with Ads data, including a dimension widened by an Ads integration, will continue to be made available within hours. For further details on which reports are supported or not supported, please read the help center article here.